For those of you who have begun to wonder if I would ever get back to traditional quilting I thought an update was in order. I have been working on the whole cloth quilt again. 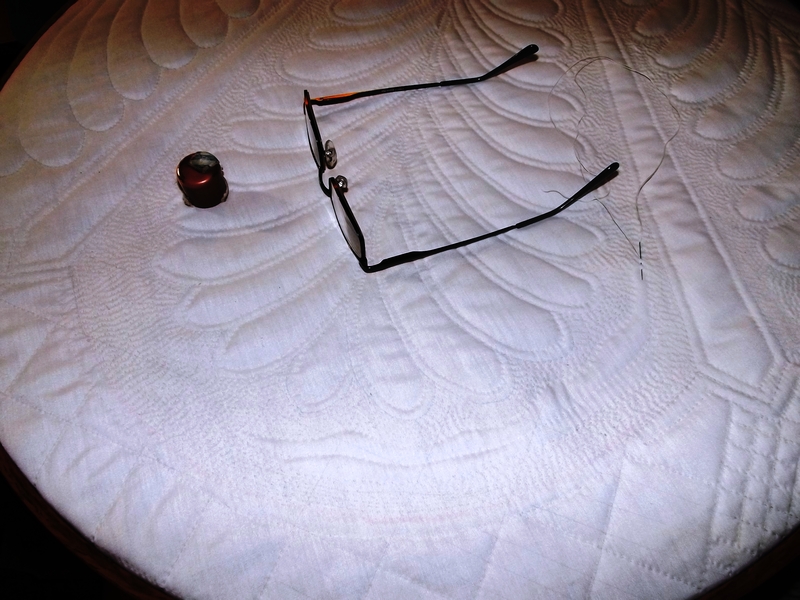 I have a lot more to do on this…it is the most quilting I have ever done on one quilt….about 2000 yards of thread so far. I need to be in the right mod to work on it because I need to be precise and sometimes I just don’t feel like that…sometimes I need to just be free to do whatever comes to me….that is why I did the tie dye quilt. I had no pattern, I just cut it up and made it up as I went along….there is a lot of freedom in that. Sometimes however I really enjoy the precise traditional work. It is good for me to have several projects going on at once! Someday I am going to ask you to teach me how to quilt by hand. The only hand work I do is EPP. Peggy says you are good at this and after all the emailed blog posts, I believe it! 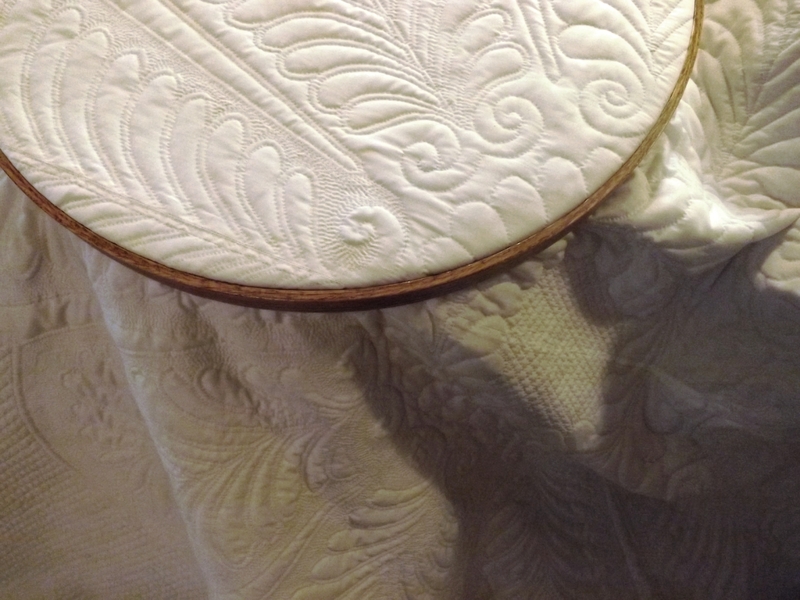 I think whole cloth quilts remain my favorite. So beautiuful and they show of the beautiful stitching so well. 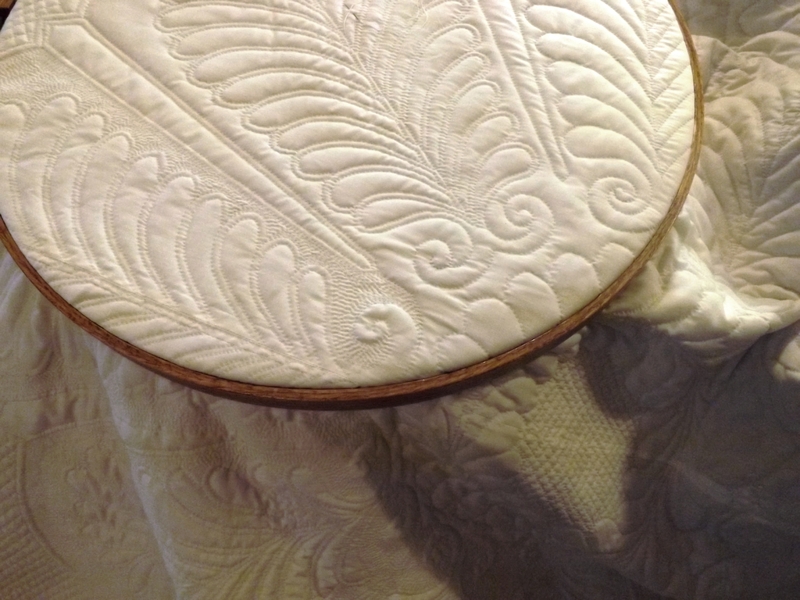 Add my name to list of people who want to learn the Tim quilting method. I really like the filler stitches in this section. This is my favorite quilt of yours. 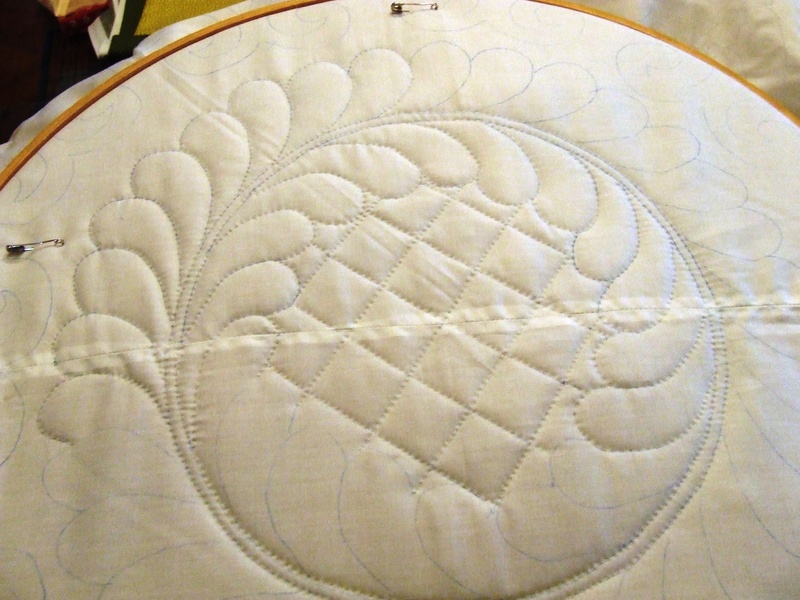 Thanks…this one I am going crazy on with all the quilting….but the next quilt I do will not have nearly as much! I agree on having more than one project going. 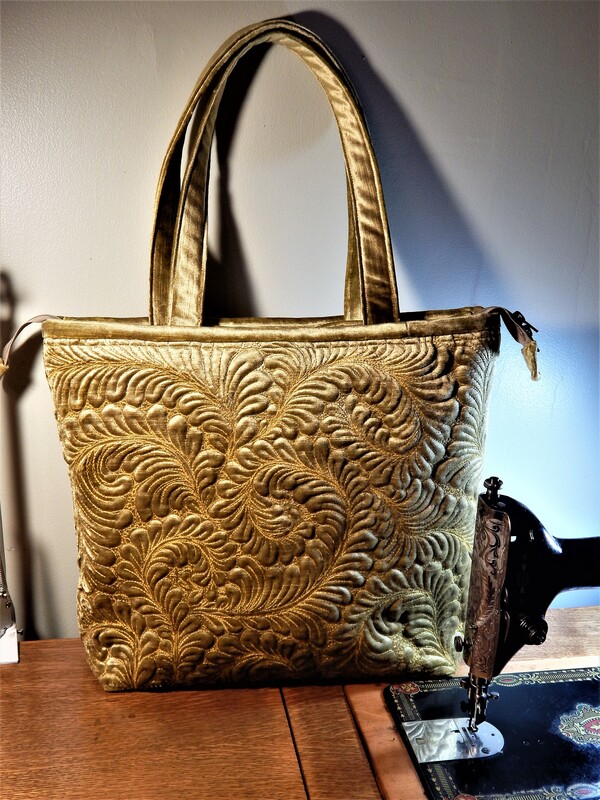 I usually have a piecing, a applique, and a hand quilting project going. 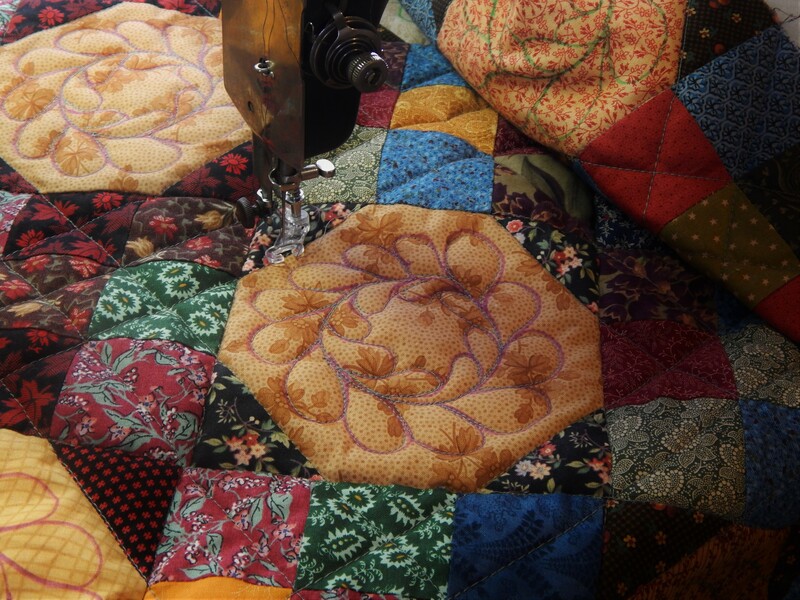 I really like all the micro quilting you have added to this project. 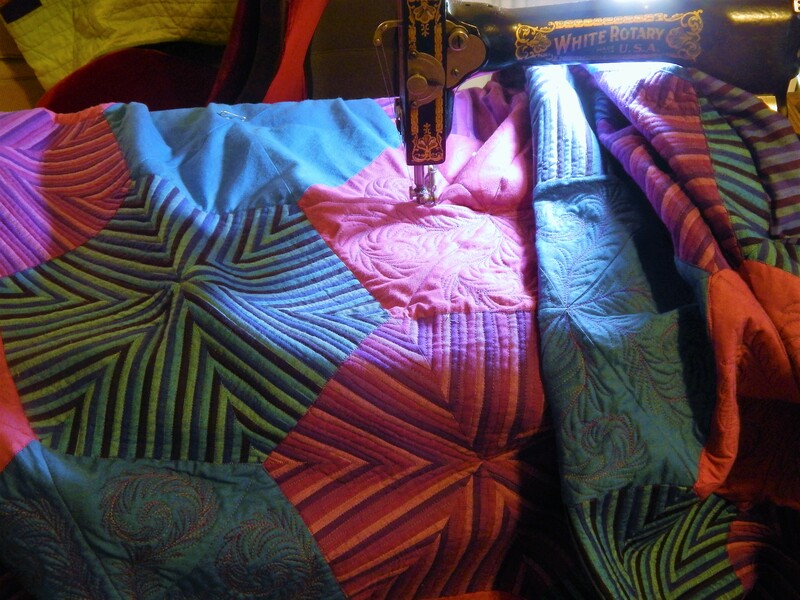 I would also love to learn how to hand quilt, I definately don’t machine quilt in a way the quilt police would approve of either….I feel a quilting rebellion coming on!! as long as we like the results we are doing it the right way!! Tim – I have just stumbled across your site, and am in awe!! Your handiwork is truly beautiful. Many thanks for sharing it with people. I hope to acquire this skill, but fear it will take me so many years to become even half as good as you are. I’ll keep trying, though, and let you know how I get along. I swing through various techniques too. Keeps me interested and avoids burnout. Lovely work here! Beautiful quilt! 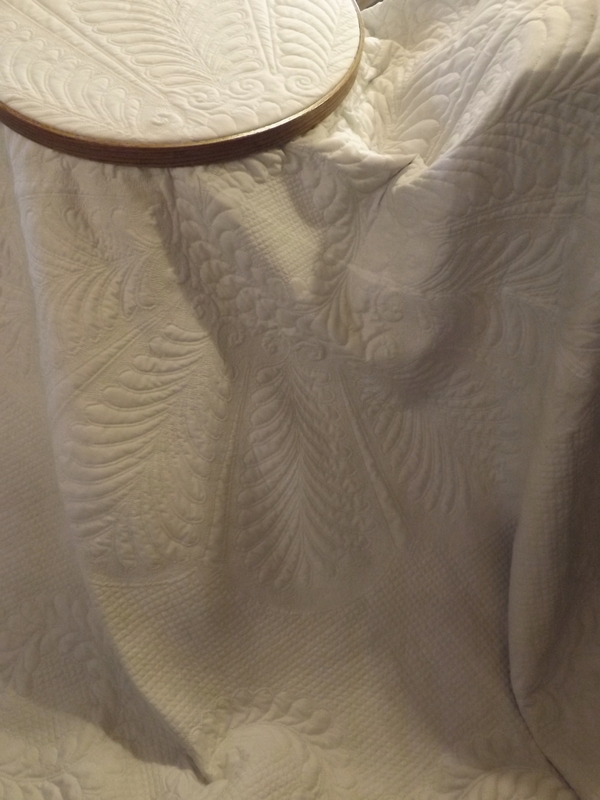 I would like to see your method of hand quilting, too. Thanks! Wow–I’m really intrigued by your Thumble. Good to know I’m not the only one who feels that way about quilting and projects! !